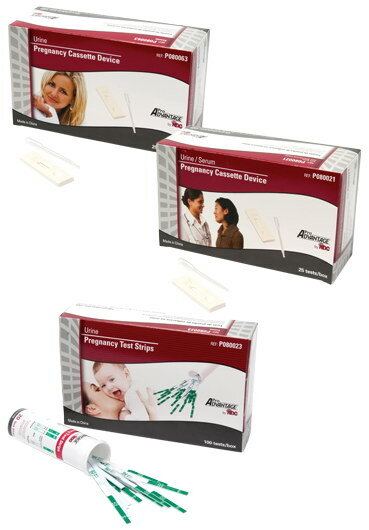 Pro Advantage Urine hCG Pregnancy Test Strips, 20 Test Strips per canister, 5 canisters per box. 100 strips/BX. 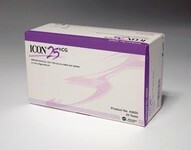 Rapid, one step tests for the qualitative detection of human chorionic gonadotropin (hCG) in serum and/or urine. 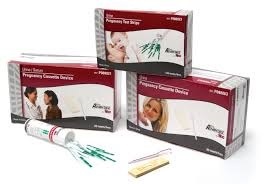 Three variations of Pro Advantage hCG tests are available: Urine Cassette Devices, Urine/Serum Pregnancy Devices and Urine Test Strips. >99% Sensitivity, >99% Specificity. 25 mlU/mL minimum hCG detection level. Accurate results in 3 minutes for urine and 5 minutes for serum. CLIA Waived for urine and FDA 510(k) cleared to market.